Electrostatic painting is a proven way to recover wrought iron fences. 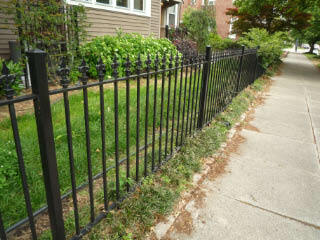 Pictured to the right is a fence that was reclaimed and refurbished. The process kept the metal fencing from the smelting process that can be damaging to the environment. It also saved the home owner a substantial amount of money.